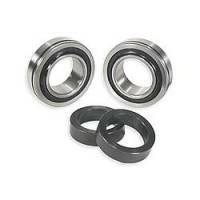 Mark Williams Enterprises manufactures a full range of racing axles, spools, rear end housings, steel, aluminum or carbon fiber driveshafts and disc brake kits. 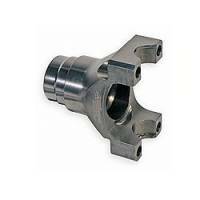 M-W also makes an assortment of chassis and driveline components. 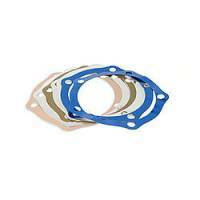 Check out the Recently Listed Axle Drive Flange Gaskets. Check out the Recently Listed Axe Housing Ends. Check out the Recently Listed Brake Caliper Rebuild Kits. 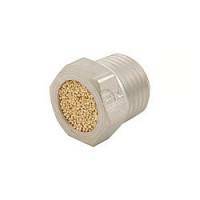 Check out the Recently Listed Data Acquisition and Components . Check out the Recently Listed Differential Cases. 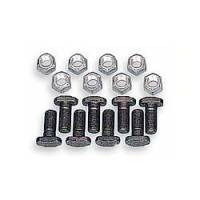 Check out the Recently Listed Differential Fastener Kits. Check out the Recently Listed Disc Brake Calipers . Check out the Recently Listed Disc Brake Pads. 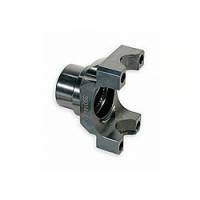 Check out the Recently Listed Driveline Couplers. 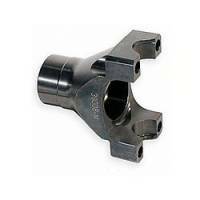 Check out the Recently Listed Pinion Crush Sleeves/Spacers. 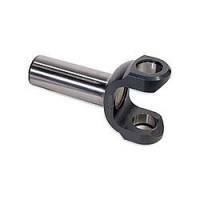 Check out the Recently Listed Pinion Nuts. Pit Stop USA is The Online Motorsports Superstore! 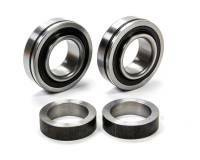 We feature Pinion Yokes at low everyday prices. Check out the Recently Listed Rear End Breathers/Vents. Check out the Recently Listed Rear End Housing Fastener Kits. 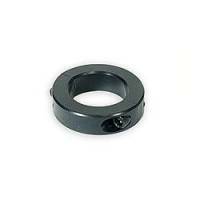 Check out the Recently Listed Ring Gear Fastener Kits. Check out the Recently Listed Spools and Mini Spools . Check out the Recently Listed Steering Wheel Quick Disconnects. 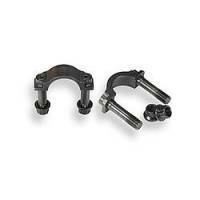 Check out the Recently Listed U-Joint Strap and Bolt Kits. 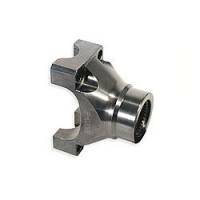 Mark Williams 0.005 to 0.015" Pinion Depth Shims Pinion Shim Ford 9"
Mark Williams 10 Spline Pinion Yoke Steel Natural 1350 U-Joint - Mopar 8-3/4"
Mark Williams 28 Spline Pinion Yoke Steel Natural 1350 U-Joint - Ford 9"
Mark Williams 30 Spline Pinion Yoke Steel Natural 1350 U-Joint - Ford 8.8"
Mark Williams 30 Spline Pinion Yoke Steel Natural 1350 U-Joint - GM 8.5"
Mark Williams Enterprises manufactures a full range of racing axles, spools, rear end housings, steel, aluminum or carbon fiber driveshafts and disc brake kits. M-W also makes an assortment of chassis and driveline components at its Denver-area facility. All the parts required to set up 9? Ford, 12-bolt Chevy, 8.8 Ford, 8-3/4 Mopar and Dana 60 rear ends, including ring & pinion gears, Detroit Lockers, Posi-Traction differentials, and bearings are in stock at Mark Williams Enterprises. Special driveline and/or brake packages available for Acura, Camaro, Chevelle, Corvette, Fairlane, GM, Honda, Mustang, Mustang II and Pinto applications. M-W offers axle inspection services, and will also magnaflux those made by firms like Strange Engineering, Moser Engineering and Summers Brothers. Mark Williams Enterprises is based in Louisville Colorado, just between Boulder and Denver. We design test and manufacture all of our products in our facility. This allows for the tightest control possible over all of our products. Mark Williams Enterprises product range includes 9" Ford Thirdmembers, 9" Ford 3rd members, Axles, Brake Components, Chassis Components, Driveshafts, Masterline, Rears & Components, Ring & Pinions, Tools, MasterLine Axles, Hi-Torque Standard Axles, Hi-Torque Superlight Axles, Ultimate Hi-Torque Axles, Axle Bearings, Axle Kits, Half Shafts, Hi-Torque Axles, Oval Track Axles, Floater Axles, Wheel Studs, Lug Nuts, Wheel Spacers, Brake Hats, Brake Rotors, Brake Lines, Brake Fittings, Brake Calipers, Brake Pads, Brake Parts, Front Brake Kits, Master Cylinders, Rear Brake Kits, 4-Link Kits & Hardware, Brackets Tabs & Dzus, Chassis Kits & Prints, Chromoly, Controls & Cables, Filler Caps & Bungs, Motor Plates, Rod Ends & Clevises, Front Axles & Parts, Steering Boxes & Parts, Steering Wheel, Steering Hubs, NASCAR Transmission Slip Yokes, 4" NASCAR MWX Series Driveshaft, Precision 1350 Series U-Joint, Pinion Yokes, Billet Retaining Cap Design Yokes, Teflon Low Friction Pinion Seal, Rear Ends, Rear End Components, 9" Pinion Supports, Dana 60 Assemblies, Dana 60 Parts, Differentials, Floater Rear Ends, Ford Rear Ends, 10 & 12 Bolt Rear End Parts, 12 Bolt Rear End Assemblies, Axle Tube Ends, Axle Retainers, Rear End Housings, Modular Rear End Assemblies, Modular Rear End Parts, Mopar Rear Ends, Oldsmobile/Pontiac Rear Ends, Spools, Thirdmembers, 3rd Members, Ring & Pinions, Dana 60 Gears, Ford 7.5"-8.8" Gears, Ford 9" Street Gears, Ford 9" Pro Gears, Ford 9-1/2" Gears, '55-'64 Chevy Gears, GM 10 Bolt Gears, GM 12 Bolt Gears, GM Truck Gears, Mopar 8-3/4" Gears, Mopar 9-1/4" Gears, Olds/Pontiac Gears, 10" Ford Gears, MW 11 Inch Gears, Driveline Tools and more.